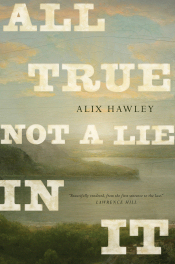 Alix Hawley’s first novel, All True Not a Lie in It, a revisionist take on the life of Daniel Boone in his own words, was released in the USA by Ecco in August 2016. Knopf released it in Canada in 2015; it won the Amazon.ca First Novel Award and was longlisted for the Giller Prize. Alix earned her doctorate in English Literature at Oxford and a Master’s degree in Creative Writing at the University of East Anglia. She published a story collection, The Old Familiar (Thistledown Press), in 2008. 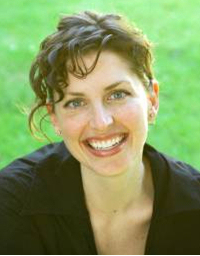 She resides in Kelowna, British Columbia, with her husband and two children. 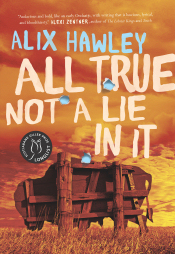 All True Not a Lie In It wins Amazon.ca First Novel Award - see Globe and Mail and CBC, and listen to Alix discuss it on CBC Radio's The Next Chapter. See also the Quill & Quire slideshow. Frontiersman and trailblazer Daniel Boone is known to every American schoolchild mostly for fighting bears and Indians. The myths that surround him are legion. But few are aware that his Quaker family was banished from their settlement, beginning the peripatetic life that he continued until his last days, searching for a paradise that he could call his own, and for safety both from the Indians upon whose territory he was constantly impinging and from the conflicts of competing colonial stakeholders. Known today as a fierce Indian-fighter, he in fact was as small man who abhorred violence, respected Native people, and was adopted by them. Alix Hawley fleshes out this one-dimensional folk hero so that we penetrate deep within his psyche: the charismatic politician, businessman, and soldier who was also a slave-owner; the husband who struggled to mollify his wife, whom he frequently abandoned with their children while he wandered eighteenth-century America, or dragged with him while cutting a trail through the wilderness that hundreds of thousands would eventually follow; and the loving father whose actions led directly to the torture and murder of his son. All True Not a Lie in It climaxes with Boone’s capture by the Shawnee in 1778, when he came to be treated like a beloved son by the chief whose son he had killed while rescuing his own daughter. The unique voice Alix Hawley has found for Boone provides an incredibly intriguing inner journey for a figure who these days seems only a tall tale. It’s a brilliant first novel, replete with storytelling that is taut and expert, descriptions that are rich and intense, and prose that is full of feeling, especially about Daniel's love and longing. Its finely honed language is reminiscent of earlier novels like The Last of the Mohicans, but also feels completely contemporary. Alix Hawley has masterfully imagined the experience of settling America through the eyes and the heart of one of its most famous settlers.